We’d love your help. Let us know what’s wrong with this preview of Brief Answers to the Big Questions by Stephen Hawking. To ask other readers questions about Brief Answers to the Big Questions, please sign up. I heard his computerised voice while reading this book. Does this happen to you? Berislav Jozic Yes, as in audio version there really is a sentence or two of his voice in every chapter. is this book easy to understand for someone who doesn't have much knowledge of cosmology or astrophysics? A great book, by a great man. I had heard the name Steven Hawking, but never read any of his theories. Simply for the very reason the something coming from the smartest men of the previous 2 generations would be overly complicated and beyond my understanding. What I discovered in this book is Steven Hawking was just a great man as we was a scientist, but an incredible teacher as well. His method of writing allows people like, who have a passing interest in but only a vacation of his ability in s A great book, by a great man. I had heard the name Steven Hawking, but never read any of his theories. Simply for the very reason the something coming from the smartest men of the previous 2 generations would be overly complicated and beyond my understanding. What I discovered in this book is Steven Hawking was just a great man as we was a scientist, but an incredible teacher as well. His method of writing allows people like, who have a passing interest in but only a vacation of his ability in science to understand his work. This skill cannot be understated as if the most knowledgeable person in the world cannot comuninate their knowledge it is list with them. Sort of like sending it into a black hole. The book is easily readable, Hawking' s dry wit and sense of humour makes reading and learning from it a pleasure. The metaphors on this book allowed me to grasp the basics of even the most complicated theories easily. Though I differ from him from a belief perspective, I do respect his ideas and I think like any great teacher Hawking would have welcomed this difference of opinion as a show of curiosity towards finding the truth. I am sure his views, and more in-depth theories will go a long way towards solving many of the great world wide problems highlighted in this book that we face today. Quick book answering some Big Questions while learning a bit more about Stephen Hawking. It was great - recommend the audiobook too! A few years ago, The Times newspaper ran a headline on the front page which said 'Hawking: God Did Not Create Universe'. The article was illustrated. God was shown in a drawing by Michelangelo, looking thunderous. They printed a photo of me, looking smug. They made it look like a duel between us. But I don't have a grudge against God. I do not want to give the impression that my work is about proving or disproving the existence of God. My work is about finding a rational framework to understand the universe around us. Catechist, atheist, agnostic; I've been there. So naturally, my main interest in this book is that haunting question regarding the existence of a god, the creation of things. I had faith, I don't know where it went; perhaps a part of it went with the books I've read that made it impossible for me to absorb some notions without questioning them. I told a priest once and he looked at me as if I were selling drugs and tickets to strip clubs at school, not without expressing how presumptuous human beings are for wanting to know everything. A similar reaction is mentioned in this book. Needless remarks aside, a feeble faith tinged with fear - whereas it represents some obvious disadvantages - keeps the mind open. What do you have? The laws of nature or a self-existent and eternal being that created time and space. The complete absence of destiny or someone to blame for lousy decisions. The serenity of dust or the afterlife - on whichever side you get, because you believe or you don't. There is no wager here. There's a chance that an omniscient designer is going to notice that you're believing "just in case". I prefer the afterlife Hawking describes: wishful thinking. This scientist, key factor in singularities and father of Hawking Radiation, is also the master of analogies. The content of this book is a pedagogic challenge and yet, he makes it approachable. Some ideas and quotes appear more than once throughout the book (those already familiar with Hawking's work may be less enthusiastic about this) but I didn't mind; more resources for me to retain rather complex processes, while there's still light. I shall take this [intelligent life] to include the human race, even though much of its behaviour throughout history has been pretty stupid and not calculated to aid survival of the species. Black holes are stranger than anything dreamed up by science-fiction writers, but they are firmly matters of science fact. And arrived on the previous night. If you know how something works, you can control it. The book includes comments of those who knew Hawking: teacher, mentor and friend. Stephen Hawking was such an inspirational man. When he first received his diagnosis, he was ready to give up on life; he was ready to abandon his studies as his body slowly diminished, but with the help of a few friends and loved ones he managed to carry on and complete his work. And, to his surprise, he carried on living beyond what he thought was capable. So, he made the most of every moment as he pursued his academic goals. He truly was a great man. And the best thing about this book is its simplicity. Stephen Hawking is not dealing with simple things here; he is dealing with complexities that he has spent his life researching and pondering over. Yet, for all that, he makes it approachable and readable to the everyday reader. He knows his audience, and he writes for them, which is fantastic because with a book like this one could easily have become alienated. He was the leading expert in his field of theoretical physics, but he knew exactly how to communicate his ideas to the public. And that is so important. He considers huge questions in this book. Questions about time travel and alternate universes, but he discusses them in a friendly way. Anybody could read this without getting lost. I really do recommend this one. Well, this was certainly a bitter-sweet read, knowing it is the last book of Steven Hawking. I wish I'd borrowed the e-book instead of the print because there are so many things I'd have loved to highlight. •How did the universe begin? •What is inside a black hole? •Is it possible to time travel? 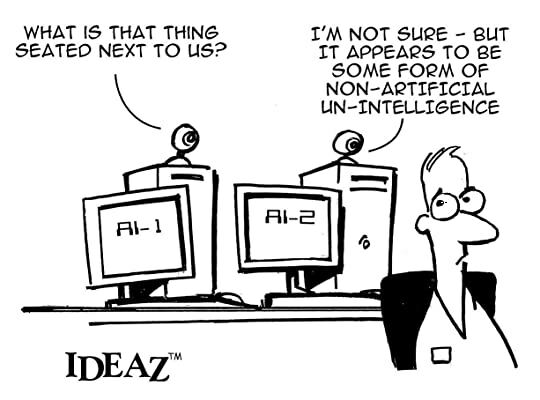 •Will AI outsmart us and if so, should we be worried? These and other questions are answered with brief, simple explanations. Steven Hawking's brilliance shines through on every page. His wittiness is prevalent throughout the book as well (including some wonderful jabs at Donnie-johnnie Trump. Suffice it to say, Mr. Hawking was not a fan!). I absolutely loved this book. I only wish it could have been longer. Steven Hawking was such a gift to humanity, his genius will live on for as long as there is intelligent life to appreciate his many contributions. I am so sad to have finished this book, but so glad to have read it. Stephen Hawking was an English theoretical physicist and cosmologist who's considered one of the most brilliant scientists since Albert Einstein. 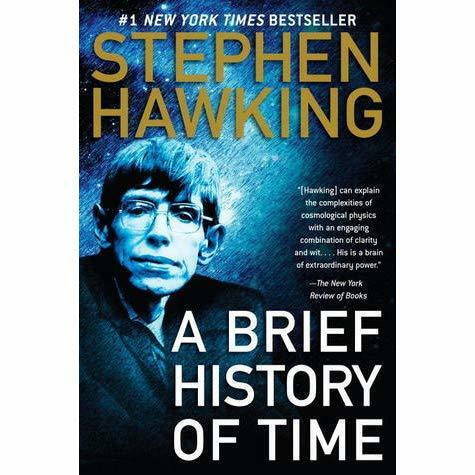 In addition to making huge contributions to physics, Hawking strove to share his discoveries with the general public, and his book "A Brief History of Time" was a best seller. Moreover, Hawking did most of his research while battling amyotrophic lateral sclerosis, which makes his accomplishments even more remarkable. In 'Brief Answers to Big Questions', completed after Hawking's death (from his speeches, interviews, essays, notes and lectures), the gifted scientist responds to a number of queries that are relevant to our time. 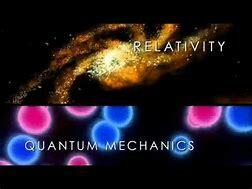 However it's Hawking's QUESTIONS about relativity and quantum mechanics that will resonate going forward. In the introduction to this book, American theoretical physicist and Nobel laureate Kip Thorne writes: "Newton gave us answers, Hawking gave us questions. And Hawking's questions themselves keep on giving, generating breakthroughs decades later. When ultimately we master the quantum gravity laws and comprehend fully the birth of our universe it may largely be by standing on the shoulders of Hawking." Kip Thorne is an American theoretical physicist and Nobel laureate, known for his contributions in gravitational physics and astrophysics. 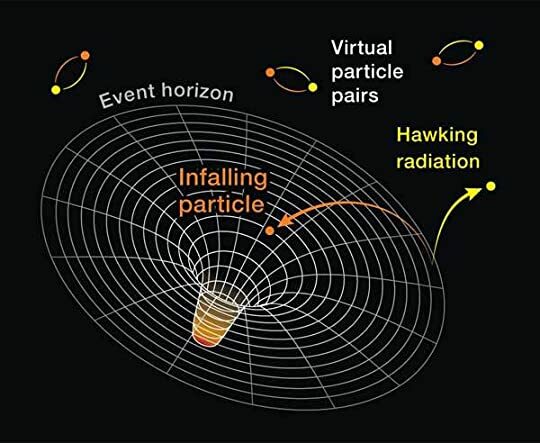 One of Hawking's most important contributions to science was his discovery of 'Hawking Radiation', composed of particles emitted from black holes. It was once thought that NOTHING could escape from a black hole, but this isn't the case. The idea goes as follows: Quantum mechanics implies that space is filled with particles and anti-particles - which are constantly appearing in pairs, separating, them coming together again and annihilating each other. In the presence of a black hole one member of the pair may fall into the black hole, leaving the other member without a partner to engage in mutual annihilation. This particle (or anti-particle) may escape as 'radiation' from the black hole. Scientists speculate that, unless a black hole gains mass (by engulfing other objects), it will eventually vanish. In this book Hawking answers questions he's been asked over the years. I'll give a brief synopsis of his responses, and leave you to read the book if you want more information. No. Everything can be explained by the laws of nature. Matter and energy and space were spontaneously created by the Big Bang. - What came before the Big Bang? 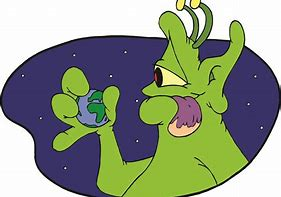 - Is there other intelligent life in the universe? We don't know (yet) but Hawking likes to think there are other forms of intelligent life out there. They just haven't contacted Earth....perhaps because they're too far away. - Can we predict the future? 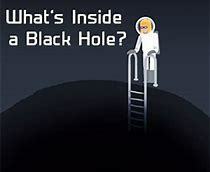 - What is inside a black hole? A black hole - which is single point of infinite density - is a star that's exhausted its nuclear fuel and collapsed.....but no one REALLY knows what's inside. - Is time travel possible? Theoretically yes. 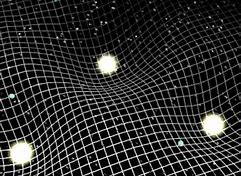 If spacetime was warped enough to form a loop, time travel would be possible. However, it time travel WAS possible, someone from the future would probably have come back to visit us already. - Will we survive on Earth? Not forever. Nuclear war is a dire threat and there will be a meteorite strike at some point. 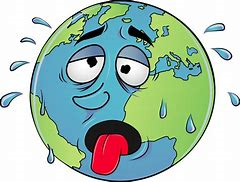 Moreover, global warming is likely to make Earth uninhabitable, since our climate could become like that of Venus - boiling hot and raining sulfuric acid." 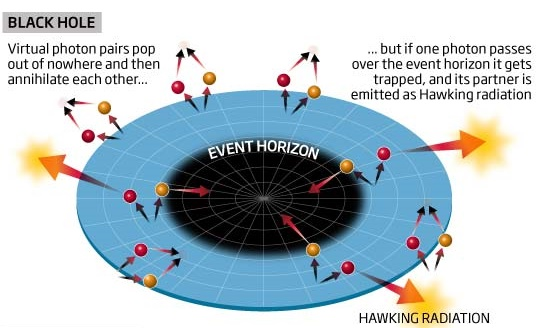 Hawking notes: "One way or another, I regard it as almost inevitable that either a nuclear confrontation or environmental catastrophe will cripple the Earth at some point in the next 1,000 years which, as geological time goes, is the mere blink of an eye. By then I hope and believe that our ingenious race will have found a way to slip the surly bonds of Earth and will, therefore, survive the disaster. The same of course may not be possible for the millions of other species that inhabit the Earth, and that will be on our conscience as a race." - Should we colonize space? Yes. In order to survive long term, humans need to colonize other planets. This won't be cheap. 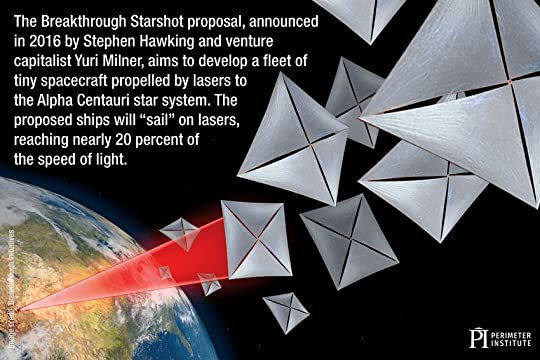 Hawking helped initiate a research and engineering project called 'Breakthrough Starshot", which strives to develop spacecraft capable of reaching the star system Alpha Centauri - which is 4.37 light-years (about 26 trillion miles) away. Hawking believes that in the next hundred years humans will be able to travel to the inner planets of the solar system and in 500 years we will have visited the nearest stars. - What are the prospects that scientists will unite Einstein's theory of relativity and quantum theory to achieve a complete theory of the laws of the universe? This will happen within the next millennium. - Will human genetic engineering occur? Yes. If scientists learn how to do something, SOMEONE will do it.....even if it's illegal. - Will artificial intelligence outsmart us? - What world changing idea would you like to see implemented by humanity? The development of fusion power to give an unlimited supply of clean energy. It would be an inexhaustible supply of energy without pollution or global warming. Despite everything, Hawking was an optimistic soul. He advocates that we should: “Be brave, be curious, be determined, overcome the odds. It can be done." In this book Stephen Hawking, possibly the last book written by him, answers some big questions and makes some predictions for the future taking into account the current state of science. How did it all begin? Is there other intelligent life in the universe? Is time travel possible? Obviously, I wasn't expecting solutions for these questions, but Stephen Hawking is able to explain complicated questions in a way that everyone would understand. Also, I love how Stephen Hawking answers those questi In this book Stephen Hawking, possibly the last book written by him, answers some big questions and makes some predictions for the future taking into account the current state of science. How did it all begin? Is there other intelligent life in the universe? Is time travel possible? Obviously, I wasn't expecting solutions for these questions, but Stephen Hawking is able to explain complicated questions in a way that everyone would understand. Also, I love how Stephen Hawking answers those questions without disregarding other's beliefs. "So remember to look up at the stars and not down at your feet. Try to make sense of what you see and wonder about what makes the universe exist. Be curious. And however difficult life may seem, there is always something you can do and succeed at. It matters that you don't just give up. Unleash your imagination. Shape the future." “Is there any point in hosting a party for time travelers? Would you hope anyone would turn up? Hawking’s answer: In 2009 I held a party for time travelers in my college, Gonville and Caius in Cambridge, for a film about time travel. To ensure that only genuine time travelers came, I didn’t send out the invitation until after the party. On the day of the par If you're into stuff like this, you can read the full review. In “Brief Answers to the Big Questions – The Final Book” by Stephen Hawking. This is my first book of 2019. As a thought-provoking book from one of the leading thinkers till recent times, a good way to start the year. I have previously read his “A brief history of time” and “The grand design” both of which I liked for presenting serious science in a very readable form. This book released after Stephen Hawking’s death does not disappoint, and is a great compilation of the most important topics Hawking dealt with in his lifetime – and these topics are also those most of us This is my first book of 2019. As a thought-provoking book from one of the leading thinkers till recent times, a good way to start the year. I have previously read his “A brief history of time” and “The grand design” both of which I liked for presenting serious science in a very readable form. This book released after Stephen Hawking’s death does not disappoint, and is a great compilation of the most important topics Hawking dealt with in his lifetime – and these topics are also those most of us are extremely curious about. There are a couple of good forewords from Eddie Redmayne who played him in the movie “The theory of everything” and scientist Kip Thorne, who writes of his inspiration from Stephen Hawking’s life on his work on gravitational waves. The afterword by his daughter Lucy is touching including mentioning the impact he had on people as could be seen by the large crowds which quietly lined the street on his passing. The first topic in the is – “Is there a God?”. Hawking’s views on this are already public, and also included in the movie based on his life. The point he makes is that religion describes God as some kind of a superhuman whom we can discuss/debate with and be judged by (some traditions such as Advaita Vedanta do not do that though). He goes on to discuss how time itself started with the big bang and the universe, and well-defined laws of nature mean there is nothing for a God to do. You may agree, partly agree or disagree with his views, but he certainly offers a lot of food for thought. The next topic is on how it all started with the big bang. While all the answers are yet not there, Hawking is confident that physics will crack the puzzle of how the universe sprang from nothing. There is already a lot of progress made such as with M-theory. The section on black holes is probably the most detailed and it is also a bit dense in parts. This is probably the area Stephen Hawking has contributed the most, and I suppose that explains the level of detail. 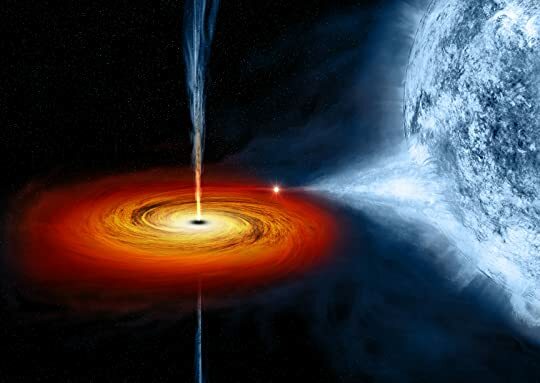 The discussion is fascinating – do black holes retain context and information of what goes in? How do they come about, and how can study them? In the discussions around climate change, and in fleeting references in other sections as well, Hawking stresses that we are being very irresponsible with respect to Planet Earth, and people in power had better pay attention to this. The other sections on space travel, AI make for interesting reading as well. This book is certainly a tribute to Stephen Hawking’s curiosity, passion for science and intellectual genius. A great book to start the year – very intellectually stimulating. "Unleash your imagination. Shape the future." I loved loved loved this book. I have always been fascinated by science and astronomy and I have never read anything by Stephen Hawking, and this book was absolutely fascinating and thought provoking to me. I loved hearing his theories about our future and I agree with a lot about what he has to say about religion and how human fascination with science and space travel is so important for our future. I really agree with that statement about having all "Unleash your imagination. Shape the future." I loved loved loved this book. I have always been fascinated by science and astronomy and I have never read anything by Stephen Hawking, and this book was absolutely fascinating and thought provoking to me. I loved hearing his theories about our future and I agree with a lot about what he has to say about religion and how human fascination with science and space travel is so important for our future. I really agree with that statement about having all our eggs in one basket and how it's important for us to find a new home. Having always had much admiration for the way Stephen Hawking has lived his life, overcoming adversity to become one of the brightest stars in our sky (pun absolutely intended), I was intrigued to see what his last contribution would bring with it. One of the things I most appreciate about him and his books is that he makes often complex and complicated topics accessible to everyday individuals such as myself - those without a background or degree in the sciences, and here he explores some of th Having always had much admiration for the way Stephen Hawking has lived his life, overcoming adversity to become one of the brightest stars in our sky (pun absolutely intended), I was intrigued to see what his last contribution would bring with it. One of the things I most appreciate about him and his books is that he makes often complex and complicated topics accessible to everyday individuals such as myself - those without a background or degree in the sciences, and here he explores some of the biggest and most important unanswered questions (hence the title) in a way that is understandable to all and doesn't require expert or previous knowledge on said topics. A total page-turner, this book is quite remarkable it gives you a sense of a personal interview between Dr. Hawking and the reader. What is inside of a black hole? Why 3 stars if the book is well-written? Well, there is NOTHING NEW. At the end, I did not feel any "answer", just plain stabilishment cientific thinking. As the final parting gift from one of the modern legends of scientific genius and embodiment of human perseverance, I couldn't give this anything less than 5-stars. Poignantly bookended by a beautifully written Foreword from Eddie Redmayne and a touching Afterword from his daughter, Lucy Hawking, this book is a collection of essays which attempt to answer some of the biggest questions rooted in science, and to an extent As the final parting gift from one of the modern legends of scientific genius and embodiment of human perseverance, I couldn't give this anything less than 5-stars. Poignantly bookended by a beautifully written Foreword from Eddie Redmayne and a touching Afterword from his daughter, Lucy Hawking, this book is a collection of essays which attempt to answer some of the biggest questions rooted in science, and to an extent philosophy, posed to humankind. From the existence of God and other intelligent life in the universe, to time and space travel, and whether we will survive on Earth, or will artificial intelligence outsmart humans - Hawking's addressed these issues in his usual authentic, direct and honest manner. While there are some hard science smattered throughout the narrative, especially when the topic centred around cosmology, a substantial chunk of the writing can be easily comprehended without requiring a physics degree. I believe this is a book which should be read by everyone as it tackles some really pressing issues about the future of humanity. We spend a great deal of time studying history, which, let's face it, is mostly the history of stupidity. So it's a welcome change that people are studying instead the future of intelligence. We are aware of the potential dangers, but perhaps with the tools of this new technological revolution we will even be able to undo some of the damage done to the natural world by industrialisation. Part of the legacy of an exceptional genius, a source of inspiration and a science communicator. Please note that I have put the original German text to the end of this review. Just if you might be interested. Hawking understood how to use his life in many ways in exemplary fashion, despite his adverse health, and to research with full vigor. He was an inspiration to millions of people despite all the restrictions. And he used the nimbus as a genius, who is caged in his body, to achieve that goal. Part of the legacy of an exceptional genius, a source of inspiration and a science communicator. Hawking understood how to use his life in many ways in exemplary fashion, despite his adverse health, and to research with full vigor. He was an inspiration to millions of people despite all the restrictions. And he used the nimbus as a genius, who is caged in his body, to achieve that goal. The press loved Hawking and he played with the media channels like a virtuoso. He was for understandable and entertaining science journalism away from the academic ivory tower. Far away from academics who fail because of their inability to explain their theses understandably and rousingly. And feast themselves on their lonely genius instead. Hawking wanted to make science accessible to the masses of people, fueling joy and enthusiasm, inspiring a new generation of researchers. Like other visionaries like Neil de Grasse Tyson, Carl Sagan and many others. The generation of bloggers known in the new media, Youtubers, etc. is inspired by him too. His unusual life enabled him to gain a reputation he probably would never have attained to that extent. And he was an inspiring model to all procrastinating, passive, blaming, quarreling, ... people in the affluent societies. How ridiculous is it when healthy people wallow in their self-pity or are unable to control their emotions. A quick look at the philanthropy and kindness of an exceptional explorer like Hawking would suffice. To shamefully take consequences and prioritize self-discipline, in order not to stagnate further. Concerning the ideological aspects of Hawking's work, every reader has to find his own approach. Depending on one´s preferred beliefs, agnosticism, atheism, nihilism, pastafarianism, ... his interpretations have a different status. Hawking's metaphysical hypotheses permeate his work and are relevant to readers who are not only interested in pure science. As well as his political analyzes and warnings. In addition to inspirational quotes, Hawking also left warnings of various, future dangers. Both should be used in the sense of a productive use of his legacy. The wisdom of his mantras and the pessimism of his warnings of AI and alien intelligences. But as long as capable programmers implement sufficient security mechanisms to never provide the AI with too much power and access rights, this danger is eliminated. And if these KIs are sufficiently protected against infiltration and sabotage, its fatal manipulation and misappropriation can be prevented. The only problem is that autonomous physical and purely virtual weapons systems need a lot of self-sufficiency and networking to work "well." Like all logistical, economic and process engineering applications. This will be a balancing act. Hopefully, nobody will stumble over the Terminator. The extraterrestrial intelligences are a different caliber and no approach is consistent. One can optimistically run to ruin or pessimistically pursue isolationism. Each option has its advantages and disadvantages. In Hawking's opinion, we would do well to behave as inconspicuously as possible and quietly evolve as quickly as possible. And in as little space as possible with fewer signals, emissions and detectable activities on just a few planets. This would entail restrictions on the use of new communications capabilities that are yet to be developed, space colonization, asteroid mining, and so on — all key technologies for the further development of humanity. For economic reasons, one will take all risks and expand as far as technically possible forever until it becomes clear which assumption was correct. There is a contradiction between Hawking's urge for space colonization with self-sufficient settlements with independent populations and his warning to be unobtrusive. Both are not possible at the same time. Humanity will gamble and hopefully win. The dangers of improving humans through genetic engineering and implants are small footnotes in relation to machine apocalypse or alien invasion. China has most likely already begun and everyone else will follow. As always, "It's the economy, stupid." Lapidar and soberly said, there were always hierarchies and society pyramids. It would be hypocritical now to pretend that immediate improvement and gene optimization would make a difference and break the taboo. Much ideology plays into it. The poverty that arises from the lack of distributive justice is the problem. And not whether the one human is breathing with gills underwater and lives 1000 years or forever and the other with fewer enhancements can only live 500 years and can afford a little less intelligence increase. There is no difference to today. For Hawking, the easily preventable diseases of civilization are incomprehensible. That so many people fail to get up regularly from sitting, eat less and move their lazy posteriors. Instead of just eating from 7 to 22 and not moving at all. Because it really is not rocket technology to get some ambitions not to die earlier because of stupid and preventable reasons. The criticized hostility to science will become another embarrassing footnote in history. One just has to sit out the time and mindfully avoid dealing with such channels. Prefer to actively participate in the dissemination of knowledge and the passing of the torch to the youth. Because with personified stupidity, ignorance, counseling resistance and lack of learning ability cannot be discussed. Therefore, it would be lost love and waste of time even to seek dialogue with such individuals engaging in those political agendas. Neither of both sides would benefit from it. It´s just a great pity that problems such as declining biodiversity, environmental degradation, global warming,… can only be resolved by a common consensus. Especially now that research is opening up more doors than ever before, a healthy mix of caution and curiosity is required. One never knows what one awakens. Be it in machines, unstoppable processes or in the vastness of space. Ein Teil des Vermächtnisses eines Jahrhundertgenies, einer Inspirationsquelle und Wissenschaftskommunikators. Hawking verstand es, sein Leben trotz widrigen Gesundheitszustandes in vielfacher Weise vorbildhaft zu nutzen und voller Elan zu forschen. Er war trotz aller Einschränkungen eine Inspiration für Millionen Menschen. Und er nutzte den Nimbus als in seinem Körper eingesperrtes Genie geschickt, um dieses Ziel zu erreichen. Die Presse liebte Hawking und er spielte auf ihre wie ein Virtuose. Er war für einen verständlichen und unterhaltsamen Wissenschaftsjournalismus abseits vom akademischen Elfenbeinturm. Weit weg von Akademikern, die an der Unfähigkeit scheitern, ihre Thesen verständlich und mitreißend erklären zu können. Und sich stattdessen an ihrem einsamen Genie ergötzen. Hawking wollte Wissenschaft für die breite Masse der Menschen zugänglich machen, Freude und Begeisterung schüren und damit eine neue Generation von Forschern inspirieren. Wie andere Visionäre wie Neil de GrasseTyson, Carl Sagan und viele andere. Auch die Generation der in den neuen Medien bekannten Blogger, Youtuber, etc. ist von ihm inspiriert. Sein ungewöhnliches Leben ermöglichte es ihm, eine Bekanntheit zu erlangen, die er so wahrscheinlich nie in diesem Ausmaß erlangt hätte. Und er war für alle prokrastinierenden, passiven, anderen die Schuld zuschiebenden, hadernden,…Menschen in den Wohlstandsgesellschaften ein Mahnmal. Denn wie lächerlich ist es, wenn gesunde Menschen sich in ihrem eigenen Selbstmitleid suhlen oder unfähig sind, ihre Emotionen zu kontrollieren. Dabei würde ein kurzer Blick auf die Philantrophie und Güte eines Ausnahmeforschers wie Hawking genügen. Um peinlich berührt Konsequenz und Selbstdisziplin zu forcieren, um nicht weiter zu stagnieren. Hinsichtlich der ideologischen Aspekte in Hawkings Werk muss jeder Leser seine eigene Herangehensweise finden. Je nach präferierten Glauben, Agnostizismus, Atheismus, Nihilismus, Pastafarismus,… haben sie einen anderen Stellenwert. Hawkings metaphysische Hypothesen durchziehen sein Werk und sind für Leser relevant, die nicht nur an der reinen Naturwissenschaft interessiert sind. Gleich wie auch seine politischen Analysen und Warnungen. Neben inspirierenden Zitaten hinterließ Hawking auch Warnungen vor diversen, zukünftigen Gefahren. Im Sinne einer fruchtbaren Nutzung seines Vermächtnisses sollte beides genutzt werden. Die Weisheit seiner Mantras und der Pessimismus seiner Warnungen vor KIs und außerirdischen Intelligenzen. Aber solange fähige Programmierer ausreichende Sicherheitsmechanismen einbauen, um die KI nie mit zu viel Machtfülle und Zugriffsrechten auszustatten, ist diese Gefahr ausgeräumt. Und wenn diese KIs ausreichend vor Infiltration und Sabotage geschützt sind, lässt sich ihre fatale Manipulation und Zwecksentfremdung verhindern. Das Problem ist nur, dass autonome physische und rein virtuelle Waffensysteme viel Autarkie und Vernetzung benötigen, um "gut" funktionieren zu können. Wie auch alle logistischen, wirtschaftlichen und prozesstechnischen Anwendungen. Das wird ein Balanceakt werden, bei dem hoffentlich niemand über den Terminator stolpert. Die außerirdischen Intelligenzen sind ein anderes Kaliber und kein Lösungsansatz ist konsistent. Grundsätzlich kann man optimistisch ins Verderben rennen oder pessimistisch Isolationismus betreiben. Jede Option hat für sich Vorteile und Nachteile. Nach Hawkings Meinung täten wir gut daran, uns möglichst unauffällig zu verhalten und still und heimlich möglichst schnell weiter zu evolvieren. Und das auf so wenig Raum wie möglich mit so wenig Signalen, Emissionen und detektierbaren Aktivitäten wie möglich. Das würde Einschränkungen bei dem Einsatz neuer, noch zu entwickelnder Kommunikationsmöglichkeiten, Weltraumkolonisation, Asteroidenbergbau, usw. mit sich bringen. Alles Schlüsseltechnologien für die weitere Entwicklung der Menschheit. Man wird aus ökonomischen Gründen alle Risiken eingehen und so weit wie technisch möglich expandieren. Bis sich zeigt, welche Annahme richtig war. Es besteht ein Widerspruch zwischen Hawkings drängen auf eine Weltraumkolonisation mit autarken Siedlungen mit ausreichender Population und seiner Warnung. Die Gefahren der Verbesserung des Menschen mittels Gentechnik und Implantaten sind in Relation zu Maschinenapokalypse oder einer Alieninvasion kleine Fußnoten. China hat sehr wahrscheinlich längst damit begonnen und alle anderen werden folgen. Wie immer, "It´s the economy, stupid." Lapidar und nüchtern gesagt gab es immer Hierarchien und Gesellschaftspyramiden. Es wäre jetzt scheinheilig, so zu tun als würde unmittelbare Verbesserung und Optimierung einen Unterschied machen und einen ach so großen Tabubruch darstellen. Viel Ideologie spielt da mit hinein. Die Armut, die aus der mangelnden Verteilungsgerechtigkeit erwächst, ist das Problem. Und nicht, ob der eine Mensch mit Kiemen unter Wasser atmen und 1000 Jahre alt werden und der andere "nur" halb so alt wird und sich etwas weniger Intelligenzsteigerung leisten kann. Nicht nachvollziehbar sind für Hawking die so leicht zu verhindernden Zivilisationskrankheiten. Dass so viele Menschen es nicht schaffen, regelmäßig vom Sitzen aufzustehen, weniger zu essen und sich zu bewegen. Anstatt nur zu essen und sich gar nicht zu bewegen. Denn es ist wirklich keine Raketentechnik. Die von ihm kritisierte Wissenschaftsfeindlichkeit wird eine weitere peinliche Fußnote in der Geschichte werden. Man muss die Zeit nur aussitzen und achtsam den Umgang mit derartigen Kanälen meiden. Lieber aktiv an der Verbreitung von Wissen und dem Reichen der Fackel an die Jugend partizipieren. Denn mit Dummheit, Ignoranz, Beratungsresistenz und mangelnder Lernfähigkeit lässt sich nicht diskutieren. Deswegen wäre es verlorene Liebemühe und Zeitverschwendung, mit solchen Individuen und politischen Strömungen überhaupt einen Dialog zu suchen. Keine der Parteien hätte davon irgendeinen Nutzen. Blöd nur, dass Probleme wie zurück gehende Biodiversität, Umweltzerstörung und Klimaerwärmung nur auf Basis eines gemeinsamen Konsens gelöst werden können. Gerade jetzt, wo die Forschung so viele Türen aufstößt wie noch nie, ist eine gesunde Mischung aus Vorsicht und Neugierde angesagt. Man weiß nie, was man weckt. Sei es in Maschinen, nicht mehr aufzuhaltenden Prozessen oder in den Weiten des Alls. Even though the book was meant to be as exoteric as possible, it is still rather thorough for the general public. To me, the answers were prolix and discursive. Much explaining was done, but I often found myself asking "How's that relevant to the question?". This is how Stephen Hawking lived his life and this is the message to the world he presents in Brief Answers To The Big Questions. Hawking was a genius. His research and "So remember to look up at the stars and not down at your feet. Try to make sense of what you see and wonder about what makes the universe exist. Be curious. And however difficult life may seem, there is always something you can do and succeed at. It matters that you don't just give up. Unleash your imagination. Shape the future." Hawking was a genius. His research and ideas have forever changed how we see and know the universe around us. His theories on Black Holes have changed Cosmology as much, or more, that the ground breaking works by Galileo and Einstein. His ideas and theories will effect his field forever but it is his personality and drive that we should also not forget. Despite being told in his early twenties that he wouldn't live more than another five years, due to Motor Neuron Disease, Hawking set forth and continued towards his educational, career, family and personal goals and lived another fifty years, succeeding even beyond his own wildest dreams. 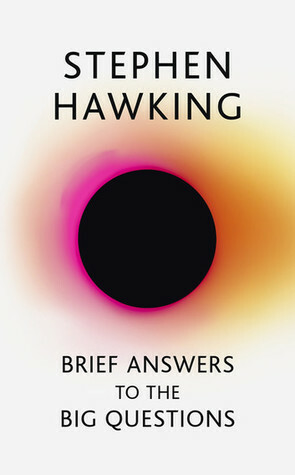 In this book, Hawking gives us his thoughts and ideas on ten "big questions" including; god, other intelligent life in the universe, time travel, the need to colonize space, and artificial intelligence. He writes in a manner that presents the science in a way that is both easy to understand and that shares his personal thoughts and feelings. Dare I say this book felt like an unnecessary addition to Hawking's work this soon after his death? I get it, when someone with the stature of Hawking passes away, the demand for a book is there. And since I believe Hawking to be an extraordinary person, what objection could there be for this release? My main gripe is the editing. It's beyond my grasp how such a wide-spread book could be edited so poorly, making it feel rushed and cheap. There are a lot of sentences and entire paragraphs being r Dare I say this book felt like an unnecessary addition to Hawking's work this soon after his death? My main gripe is the editing. It's beyond my grasp how such a wide-spread book could be edited so poorly, making it feel rushed and cheap. There are a lot of sentences and entire paragraphs being repeated in different chapters. None of which feel right, they could've easily be skipped over or paraphrased in different ways. Other than that, this book gives people who were already familiar with Hawking's beliefs nothing new. Yet the book is very much about those beliefs. I would've understood the appeal of a more personal memoir as a quick posthumous work, but I'm not quite clear what the target audience is in this case. ~How did it all begin? 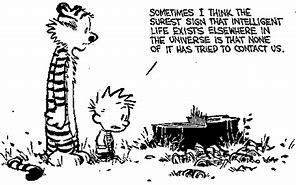 ~Is there other intelligent life in the universe? ~Can we predict the future? ~What is inside a black hole? ~Will we survive on Earth? ~Will artificial intelligence outsmart us? ~How do we shape the future? The audiobook is fantastic. 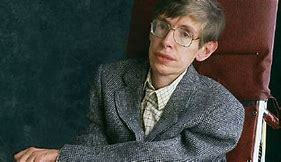 Interspersed with interview clips with Stephen Hawking, in his own words. And the afterword, by his daughter is a touching end cap to Hawking's last book for the world to read. Simple enough for those without a science background to understand. Sin duda, mi joya literaria de 2018. El libro en sí es una breve recopilación de temas a los que Stephen Hawking ha dedicado gran parte de su vida, pero el atractivo del mismo es la posibilidad de ser entendido (al menos la mayor parte) por quienes no tengan conocimientos previos en la materia. Una ventana al universo y a su origen que incitan a querer saber más sobre las obras de este gran físico. Libro muy recomendado. "I have led an extraordinary life on this planet, while at the same time travelling across the universe by using my mind and the laws of physics. I have been to the furthest reaches of galaxy, travelled into a black hole and gone back to the beginning of time. On Earth, I have experienced highs and lows, turbulence and peace, success and suffering. I have been rich and poor, I have been able-bodied and disabled. I have been praised and criticized, but never ignored. 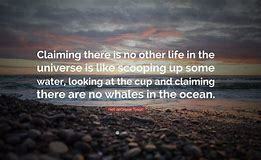 I have been enormously privileged, through my work, in being able to contribute to our understanding of the universe. But it would be an empty universe indeed if it were not for the people I love, and who love me. Without them, the wonder of it all would be lost on me. And at the end of all this, the fact that we humans, who are ourselves mere collections of fundamental particles of nature, have been able to come to an understanding of the laws governing us, and our universe, is a great triumph. I want to share my excitement about these big questions and my enthusiasm about this quest. One day, I hope we will know the answers to all these questions. But there are other challenges, other big questions on the planet which must be answered, and these will also need a new generation who are interested and engaged, and have an understanding of science. How will we feed an ever-growing population? Provide clean water, generate renewable energy, prevent and cure disease and slow down global climate change? I hope that science and technology will provide the answers to these questions, but it will take people, human beings with knowledge and understanding, to implement these solutions. Let us fight for every woman and every man to have the opportunity to live healthy, secure lives, full of opportunity and love. We are all time travellers, journeying together into the future. But let us work together to make that future a place we want to visit. I find there's something really calming about listening to the words of someone who has spent his entire life thinking about the big picture! We are so easily distracted and stressed by the daily woes of economy, politics, religion, environment, but Hawking reminds us that in a few hundred years, super-humans will be zipping around the cosmos, settling on Mars etc. Life will be unimaginable to ours today! I loved listening to this on audio, each chapter has snippets of Hawking's own speaking, and I find there's something really calming about listening to the words of someone who has spent his entire life thinking about the big picture! We are so easily distracted and stressed by the daily woes of economy, politics, religion, environment, but Hawking reminds us that in a few hundred years, super-humans will be zipping around the cosmos, settling on Mars etc. Life will be unimaginable to ours today! Сбогуваме се с човека, но книгите остават. Най-популярният учен на планетата си отиде десетилетия след предопределената смъртна присъда, след дълъг, смислен и пълноценен живот против всички очаквания и предразсъдъци, един инвалид със застинала физиономия, който допринесе за човечеството с блясъка на ума си. Стивън Хокинг стана лице на модерната наука не само заради заболяването си и механичния си глас, не само заради работоспособността си и умението си да се рее из недостъпни за обикновените умове селения, но и заради това, че описваше науката на разбираем език за всички нас, останалите. Написа книги, които покориха света и отвориха умове и сърца за красотата на науката – и ги направиха издръжливи на измамните съблазни на религиите и шарлатанщините. This was a very entertaining piece. While I am not anywhere near him in cosmology or any level of physics he made the answers to some really deep yet interesting questions understandable. He carried an extremely dry wit that finds itself in the work. Not lengthy or overwhelming. Interesting perspectives on our future world and what could or could not happen. While this collection of essays and musings on a huge range of topics makes for stimulating reading, it's a bittersweet experience realizing this is the final trip through the wonderful mind of Stephen Hawking we can take. This man has inspired generations around the world to think about the big questions and to do so in a much more engaged and informed manner, how many can boast that? Following wonderful introductions from actor Eddie Redmayne and physicist Kip Thorne, we hear Hawking's views on While this collection of essays and musings on a huge range of topics makes for stimulating reading, it's a bittersweet experience realizing this is the final trip through the wonderful mind of Stephen Hawking we can take. This man has inspired generations around the world to think about the big questions and to do so in a much more engaged and informed manner, how many can boast that? Following wonderful introductions from actor Eddie Redmayne and physicist Kip Thorne, we hear Hawking's views on everything from god and religion, artificial intelligence, interstellar travel, time travel, and the gravest issues facing humanity today. Let us fight for every woman and every man to have the opportunity to live healthy, secure lives, full of opportunity and love. We are all time travellers, journeying together into the future. But let us work together to make that future a place we want to visit. Be brave, be curious, be determined, overcome the odds. It can be done. We can be an ignorant, unthinking lot. When we have reached similar crises in our history, there has usually been somewhere else to colonise. Columbus did it in 1492 when he discovered the New World. But now there is no new world. No Utopia around the corner. We are running out of space and the only places to go to are other worlds. 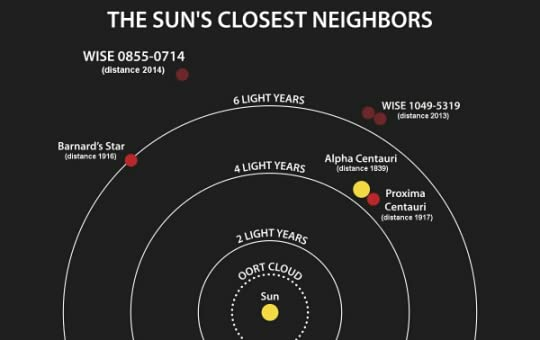 If there are beings alive on Alpha Centauri today, they remain blissfully ignorant of the rise of Donald Trump. We must not fear change. We need to make it work to our advantage. Our future is a race between the growing power of our technology and the wisdom with which we use it. Let’s make sure that wisdom wins. So remember to look up at the stars and not down at your feet. Try to make sense of what you see and wonder about what makes the universe exist. Be curious. And however difficult life may seem, there is always something you can do and succeed at. It matters that you don’t just give up. Unleash your imagination. Shape the future. "Fact is sometimes stranger than fiction"
I went to the barber at 11 AM prepared for a long wait and started reading this. This is not a very good book, to tell the truth, my truth that is. I certainly learned stuff from it, however, and liked it despite its problems, more or less, I guess that makes it good after all. - For one, the answers are not exactly brief. While this book, as far as I know, is directed to the general public, it does in depth more than needed "Fact is sometimes stranger than fiction"
- For one, the answers are not exactly brief. While this book, as far as I know, is directed to the general public, it does in depth more than needed. So while it is readable to the general public, that would make them less tempted to actually read it. I'd say that this book is directed to people with basic knowledge of physics, which is what allowed me to read it. - For two, the questions and their answers are not that fascinating. If you have knowledge of the ideas discussed, God's existence, Big Ban and time travel, do not expect something more than shedding new light on what you know already. Not that you cannot get more, I was certainly intrigued by the physics behind stuff I know from SciFi, and hearing it from no other than Stephen Hawking is different than Youtube. Speaking of Hawking, there are two main factors that make him who he is, to us readers of course. One is his fight with his condition, and two is his genius contribution to multiple fields, mainly cosmology and physics. He is, by all means, an extraordinary human being. One of the finest our race brought out. This book only vaguely touches those two points, however. 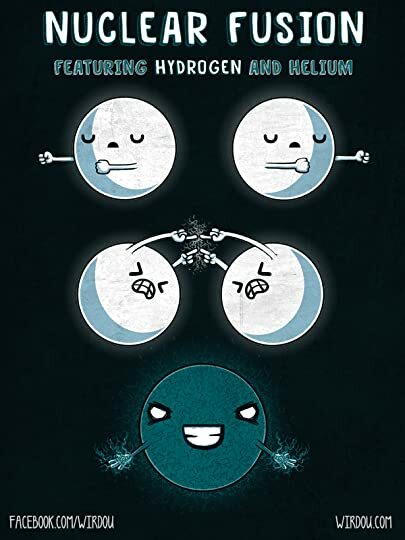 This book could have been written by any of a large number of theoretical physicists with the same knowledge, at this level, and some of which would have been able to do it much better, make it shorter and briefer. That is my critique, but what do I know, better read and find out, chances are it won't be a waste of your time. Forward: Eddie Redmayne - actor who played Stephen in 'The Theory of Everything'. 1. Is there a God? 3. Is there other intelligent life in the universe? 4. Can we predict the future? 5. What is inside a black hole? 6. Is time travel possible? 7. Will we survive on Earth? 8. Should we colonise space? 9. Will artificial intelligence outsmart us? 10. How do we shape the future? Should we colon Forward: Eddie Redmayne - actor who played Stephen in 'The Theory of Everything'. The Moon and Mars are the most suitable sites for space colonies in the solar system. Like the Moon, water and oxygen might be obtainable from polar ice. There has been volcanic activity on Mars. But there are a significant fraction of stars that have planets around them. It is reasonable to assume that they will be accompanied by smaller, Earth-like planets. Some may be in the right range for water. This is called the Goldilocks zone." Stephen William Hawking was born on 8 January 1942 in Oxford, England. His parents' house was in north London, but during the second world war Oxford was considered a safer place to have babies. When he was eight, his family moved to St Albans, a town about 20 miles north of London. At eleven Stephen went to St Albans School, and then on to University College, Oxford, his father's old college. Ste Stephen William Hawking was born on 8 January 1942 in Oxford, England. His parents' house was in north London, but during the second world war Oxford was considered a safer place to have babies. When he was eight, his family moved to St Albans, a town about 20 miles north of London. At eleven Stephen went to St Albans School, and then on to University College, Oxford, his father's old college. Stephen wanted to do Mathematics, although his father would have preferred medicine. Mathematics was not available at University College, so he did Physics instead. After three years and not very much work he was awarded a first class honours degree in Natural Science. Stephen then went on to Cambridge to do research in Cosmology, there being no-one working in that area in Oxford at the time. His supervisor was Denis Sciama, although he had hoped to get Fred Hoyle who was working in Cambridge. After gaining his Ph.D. he became first a Research Fellow, and later on a Professorial Fellow at Gonville and Caius College. 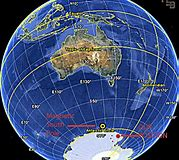 After leaving the Institute of Astronomy in 1973 Stephen came to the Department of Applied Mathematics and Theoretical Physics, and since 1979 has held the post of Lucasian Professor of Mathematics. The chair was founded in 1663 with money left in the will of the Reverend Henry Lucas, who had been the Member of Parliament for the University. It was first held by Isaac Barrow, and then in 1669 by Isaac Newton. Stephen Hawking worked on the basic laws which govern the universe. With Roger Penrose he showed that Einstein's General Theory of Relativity implied space and time would have a beginning in the Big Bang and an end in black holes. These results indicated it was necessary to unify General Relativity with Quantum Theory, the other great Scientific development of the first half of the 20th Century. One consequence of such a unification that he discovered was that black holes should not be completely black, but should emit radiation and eventually evaporate and disappear. Another conjecture is that the universe has no edge or boundary in imaginary time. This would imply that the way the universe began was completely determined by the laws of science. His many publications include The Large Scale Structure of Spacetime with G.F.R. Ellis, General Relativity: An Einstein Centenary Survey, with W. Israel, and 300 Years of Gravity, with W. Israel. Stephen Hawking has three popular books published; his best seller A Brief History of Time, Black Holes and Baby Universes and Other Essays and most recently in 2001, The Universe in a Nutshell.